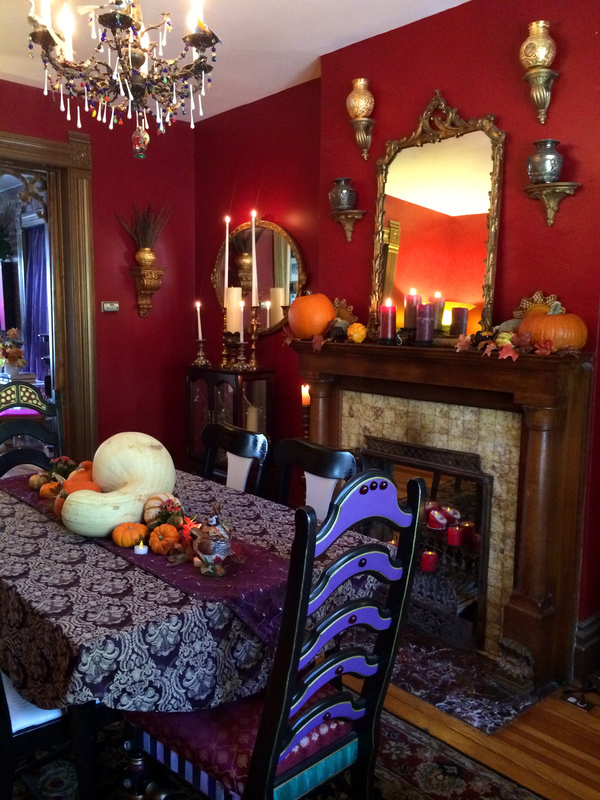 The Big Switcharoo…Halloween into Thanksgiving, Decorating Quick & Cheap. Halloween is over. Sigh. All the skulls and spiders and crows are packed away, (and the leftover candy has been packed away…mostly into my thighs ;-). 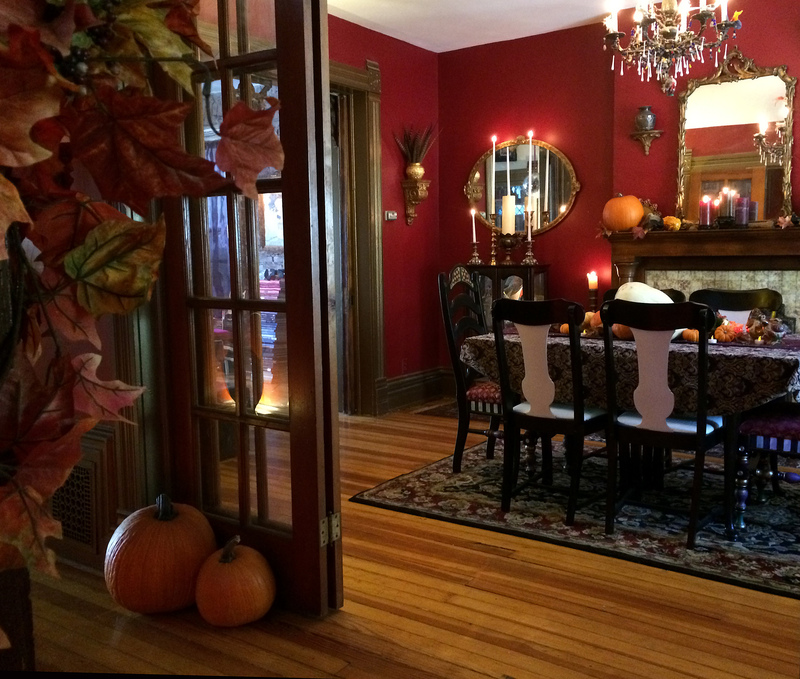 It’s time to settle into the Fall, tone it down a bit, and gear up for the fabulous feast that is Thanksgiving. Here’s a look at what I’m doing for decor this year. 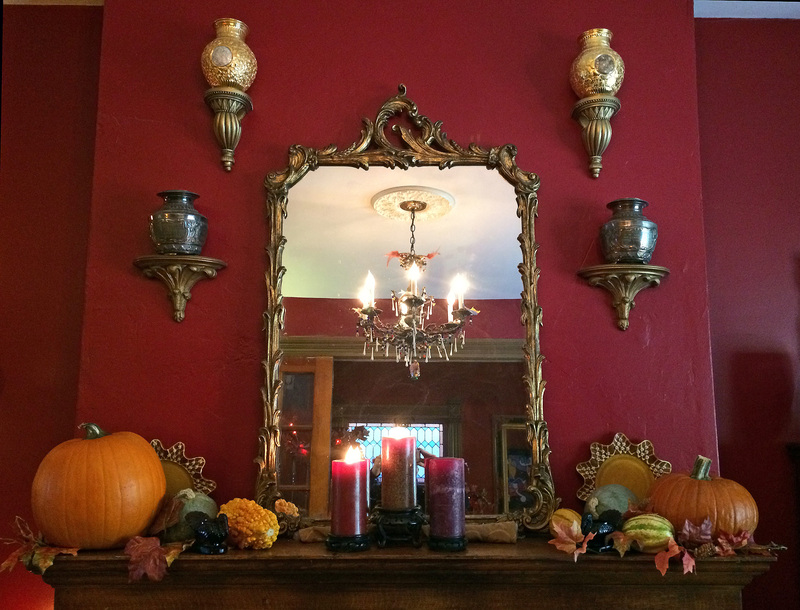 My favorite decorating “trick” for Fall are pumpkins and gourds. They serve double-duty, working great for both Halloween and Thanksgiving. 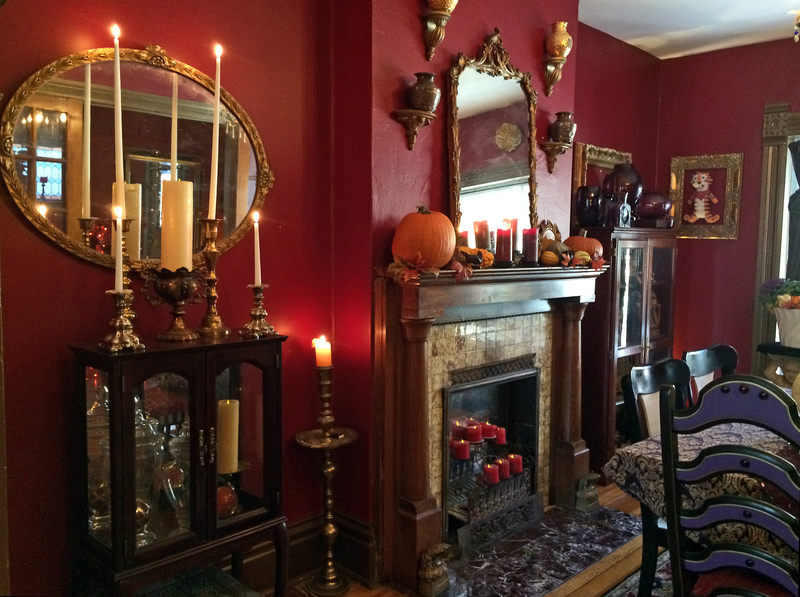 By the way, another great decorating tip is to “shop” your own home! Moving things around and re-purposing stuff you already have is free decor at it’s best! 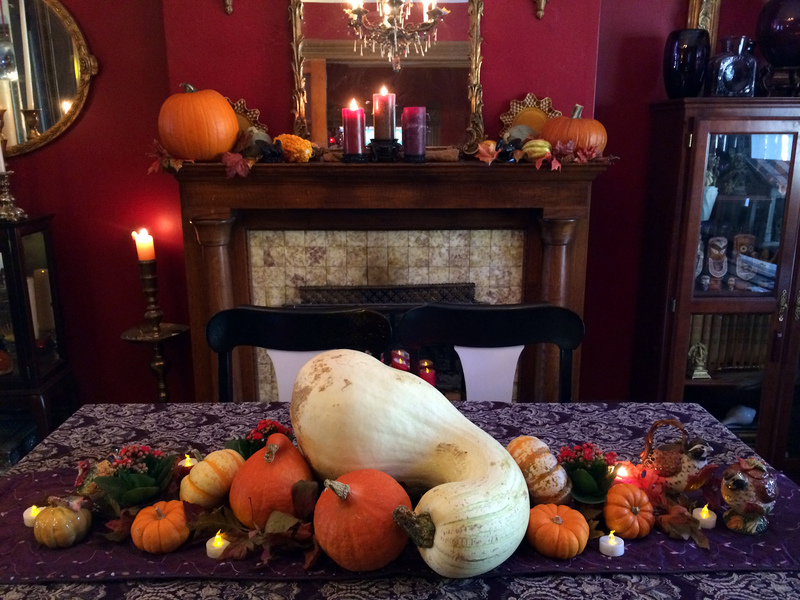 You’ll see me do that a lot here…After I removed all the “spooky” stuff, I set aside the squashes along with the faux-Fall leaves and plan my Thanksgiving decor. This year, I added to the mix two ornamental cabbage plants and 3 tiny Kalanchoes for a total of $14. That’s it. Because I go over-the-top for Halloween & Christmas, I like to tone it down in between. You can see all the Halloween madness HERE. 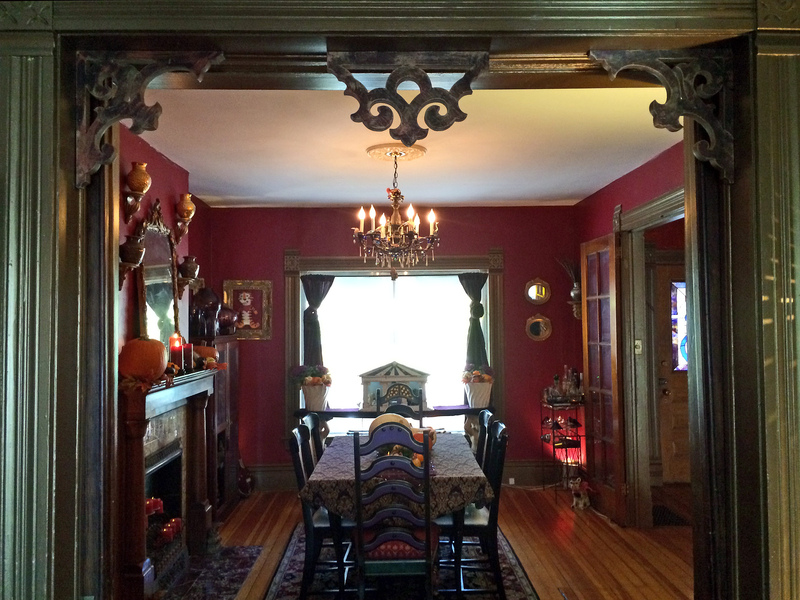 The mantle is similar to the table, nice and simple. 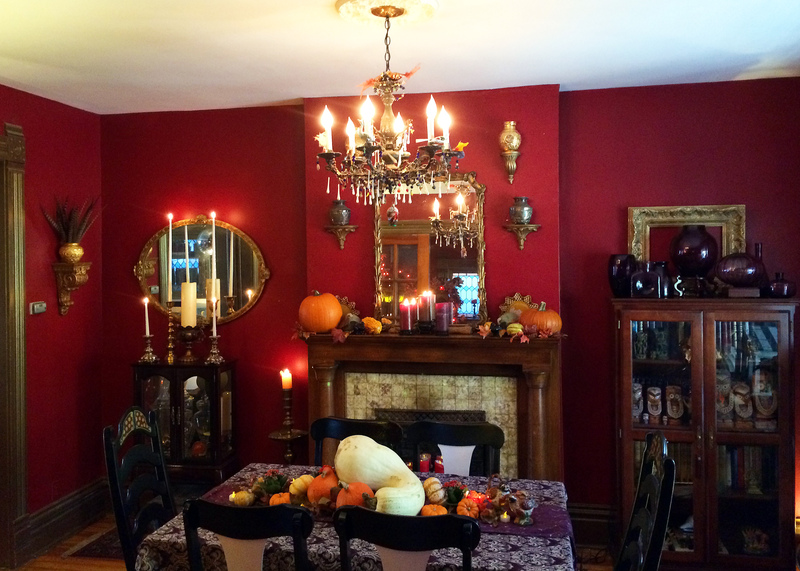 I started with a pair of Mackenzie-Child’s plates in Fall colors that I’ve had for years, then I scoured basement storage for Fall-colored pillar candles. 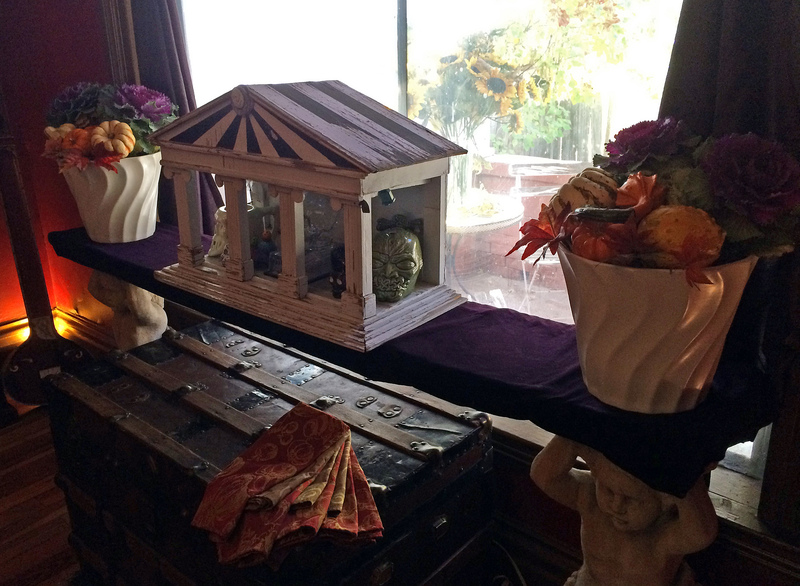 Putting the candles on the little wood pedestals gives them a look of importance. Then it was pumpkin and gourd time. 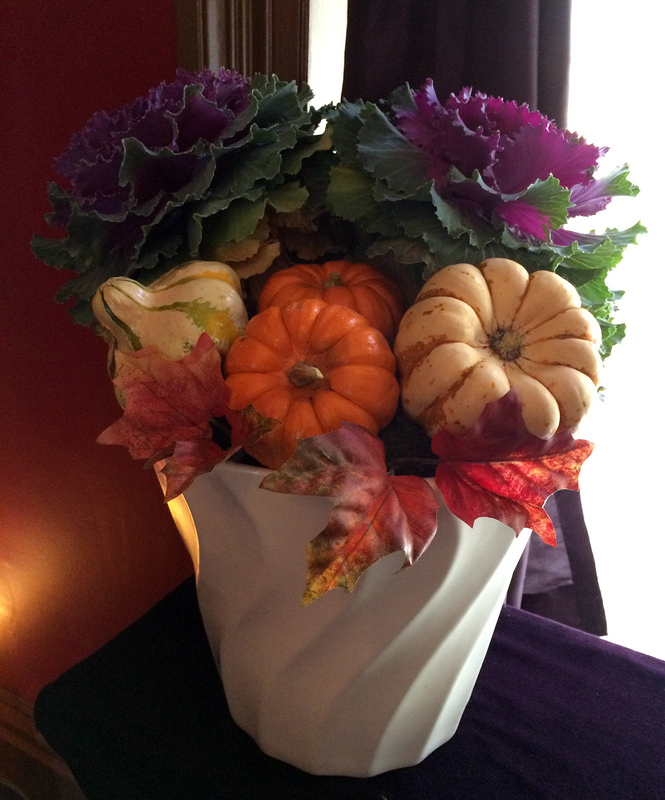 Finally I added in my beloved old pair of purple glass turkeys and a few fake Fall leaves. I love my white pots by the window, and tend to just switch the contents out for the holidays. Here is where I placed those 2 ornamental cabbage plants, then I added in a few gourds and a few of those faux-Fall leaves. I love how these turned out. 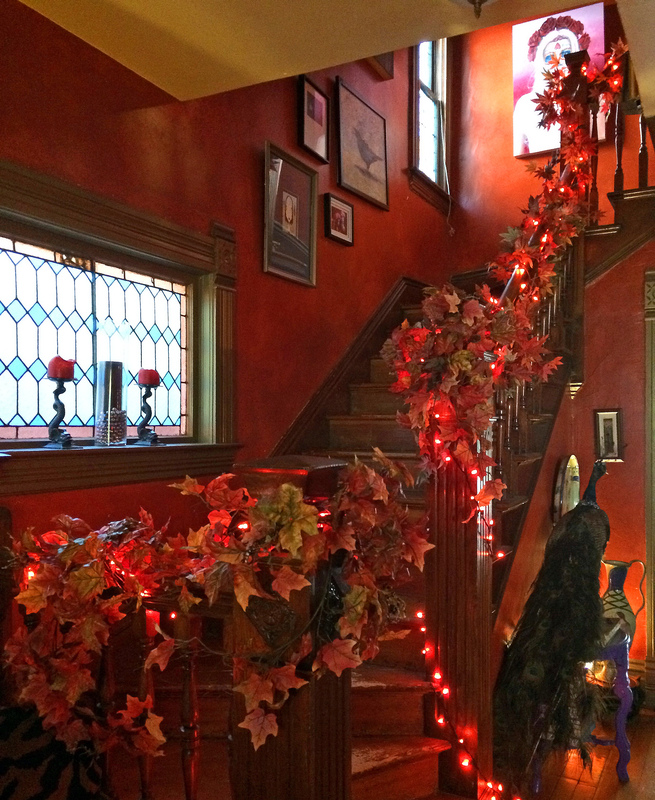 In the entry, I just simplified what was there for Halloween by removing the crows, black fabric and the tri-colored and pumpkin lights, leaving just the amber lights and Fall leaves. That’s it! We’re all ready for the month of November. Happy Thanksgiving everyone! Want to see what I did last year for Thanksgiving? Just click here. 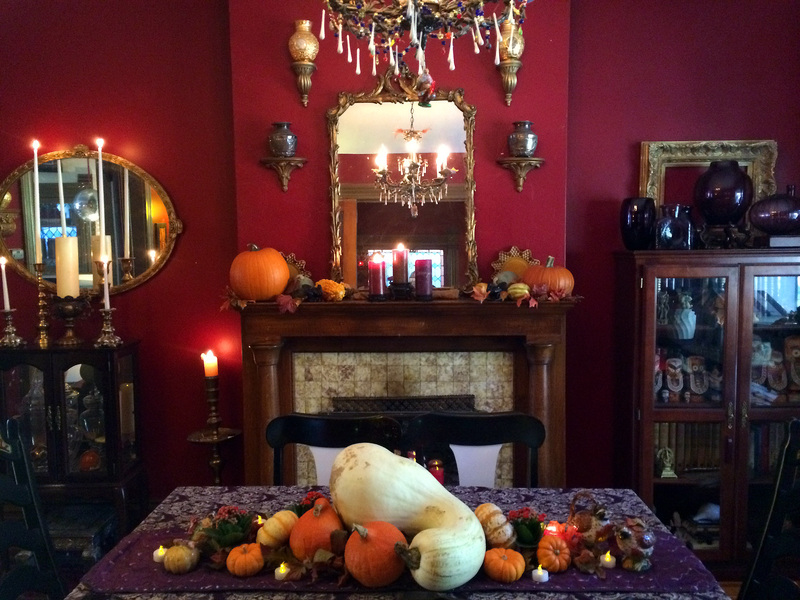 This entry was posted in Holiday Decorating, Holidays, Thanksgiving and tagged decorating with gourds, diy thanksgiving, elegant thanksgiving decor, holiday decor, holiday decorating, Thanksgiving, thanksgiving decor, thanksgiving decorations. Bookmark the permalink. ← It’s FIRST FRIDAY & DENVER ARTS WEEK, People! The Weather is Good, Get Out and Get Arty.